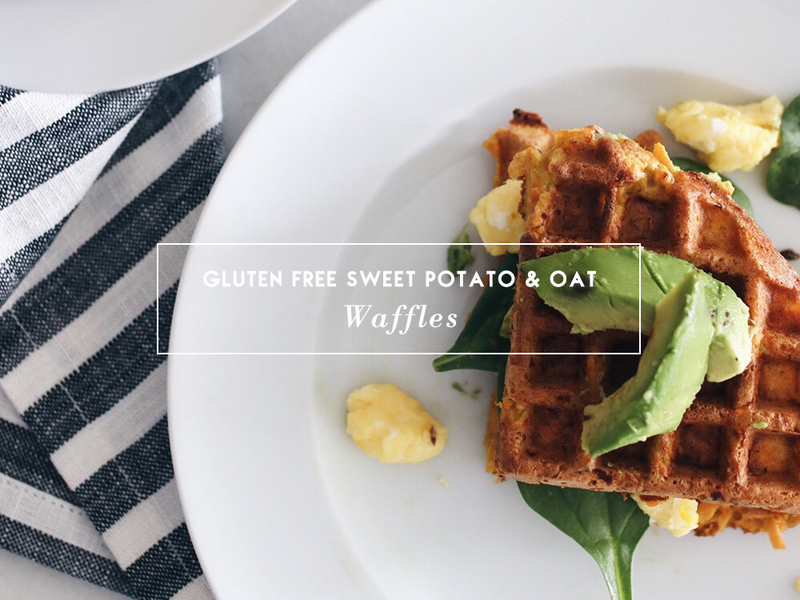 If you’re looking for an easy waffle recipe that’s healthier than the typical one, you’ll love this healthy sweet potato and oat version! I made these over the weekend and I love how crispy they turned out. They are perfect for weekend mornings and I highly recommend you pair them with eggs and avocado (so good!). The recipe yields 3 big round waffles or 12 triangles, and if you have any leftovers just place them in a ziploc and keep them in the freezer for another time.
. 1/2 cup oat flour.
. 1/4 cup unsweetened almond milk.
. Preheat and grease your waffle maker (keep on medium-low heat).
. 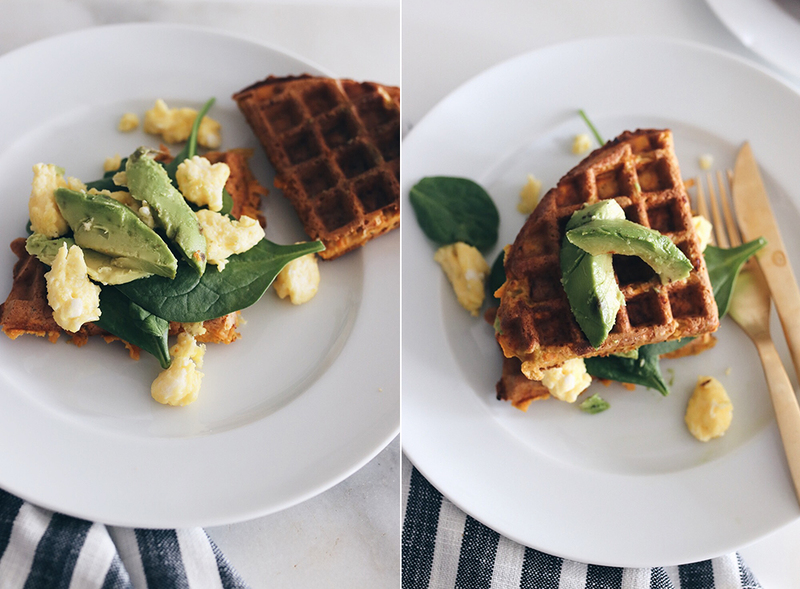 Beat your eggs and combine with the grated sweet potato until well mixed.
. Add almond milk, flour, hemp hearts and stir until batter is well combined.
. Pour a big spoonful of the batter on your waffle maker and wait until is golden and crispy looking (about 3-5 minutes).
. Enjoy with any toppings of your liking (I like to top them with olive oil instead of syrup to keep them on the savoury side). NUTRIONAL VALUE: Each triangle has 52 Calories | Total Fat 2.5g | Sat. Fat 0.5g | Carbs 5g | Sugar 0.7g | Protein 3g. Next Post 7 Ways to Get Out of a Funk and Back On Track!